Goodreads Description: Dessa defies category--she is an academic with an international rap career; a lyrical writer fascinated by behavioral science; and a funny, charismatic performer dogged by blue moods and a perseverant case of heartache. In "The Fool That Bets Against Me," Dessa wonders if the romantic anguish that's helped her write so many sad songs might be an insurable professional asset. To find out, she applies to Geico for coverage. "A Ringing in the Ears" tells the story of her father building an airplane in their backyard garage--a task that took him almost seven years. The essay titled "Congratulations" reflects on recording a song for The Hamilton Mixtape in a Minneapolis basement, straining for a high note and hoping for a break. The last piece in the collection, "Call off Your Ghost," relays the fascinating project Dessa undertook with a team of neuroscientists that employed fMRI technology and neurofeedback to try to clinically excise her romantic feelings for an old flame. Her onstage and backstage stories are offset by her varied fascinations--she studies sign language, algebra, neuroanatomy--and this collection is a prism of her intellectual life. Her writing is infused with fascinating bits of science and sociology, philosophical insights, and an abiding tenderness for the people she tours with and the people she leaves behind to do it. My Review: "But I didn't want to conceptualize myself as a quicksand pit of changing variables. I wanted something permanent, stolid-- a cinder block of self. Would I be the same me if I couldn't sing? Yes, I think so. But what if I forgot how to read, forgot my name, forgot that I like whiskey, forgot that red is my favorite color? What am I subtracting from? Is there some part that can't be ruined by violence, or time, or fatigue? Is there an apple core at the center that stays fixed?" 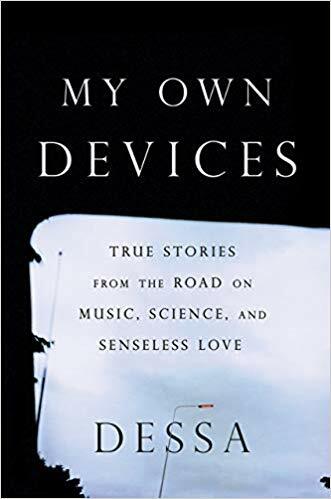 Rapper Dessa's first book, My Own Devices, is a series of nonfiction essays about life, love, music, science, and family. Through 17 different essays, Dessa gives us a glimpse of her life, from how she ended up as a rapper touring with a crew of guys, to recording a song for the creator of Hamilton, to writing to Geico to try and insure her broken heart. All the essays stand alone as well as build towards a greater story where Dessa takes on a project with neuroscientists to attempt to make herself fall out of love with her longstanding ex, referred to as X. At it's core, My Own Devices is a love story, beginning with how Dessa falls in love with X as well as rap, detailing their on-agains and off-agains, and ultimately leading her to attempt to 'reprogram' her brain to fall out of love. Throughout the book are stories of life on the road, family-- both blood and bandmates-- as well as science, philosophy, and a bit of dry humour to keep the pages crackling. Dessa has a wisdom to share that she presents quite eloquently. Any attempt I make to try and explain how beautifully written this book is fails in comparison next to the real thing. 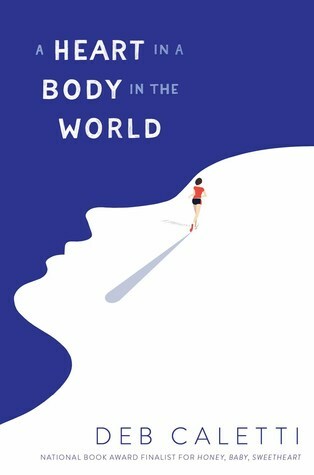 Dessa infuses just enough scientific tidbits and philosophical wonderings into her real life observations to make the book feel both deeply personal while it asks some big questions. The truly fascinating part of the book (IMHO) is the project Dessa takes on with a team of scientists to reprogram her brain to fall out of love with X, the man sprinkled throughout her life and essays. If you want to know the results, I highly suggest you read the book (spoilers! ), but I will say the results may surprise you. Dessa isn't afraid to dig her talons into science and math to find real answers, but also writes science in a way that's enjoyable, engaging, and even funny at times. Her perspective on the intersection of science and art is also fascinating, and all of it is delivered in lyrical, easy to read prose. TL;DR: 5/5 stars. Eloquently written essays on life, science, family, music, and love infused with dry wit and sharp observations. Goodreads Description: Daniel is the back-up punter for the Erie Hills Elephants. Which really means he’s the water boy. He spends football practice perfectly arranging water cups—and hoping no one notices. Actually, he spends most of his time hoping no one notices his strange habits—he calls them Zaps: avoiding writing the number four, for example, or flipping a light switch on and off dozens of times over. He hopes no one notices that he’s crazy, especially his best friend Max, and Raya, the prettiest girl in school. His life gets weirder when another girl at school, who is unkindly nicknamed Psycho Sara, notices him for the first time. She doesn’t just notice him: she seems to peer through him. 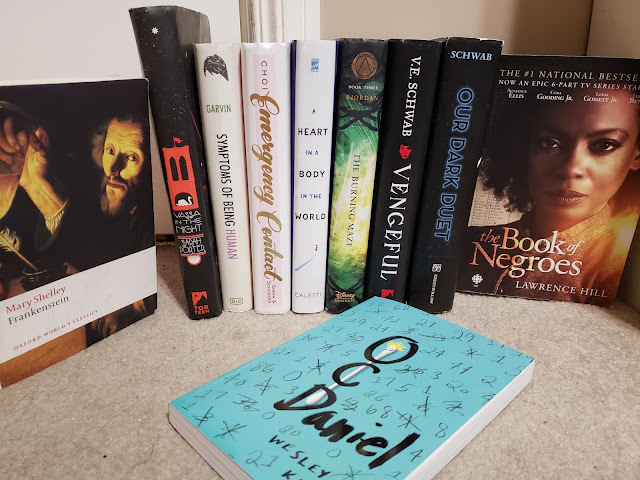 My Review: Daniel knows he's not normal, from the Zaps to his nightly Routine to the Great Space and Collapses he sometimes experiences, but he doesn't know why. 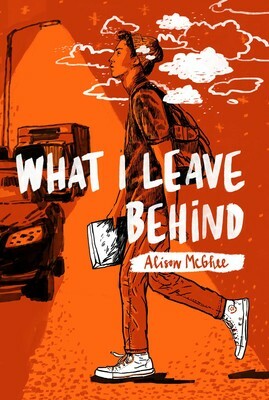 He only cares about keeping it all a secret in the hopes that he can learn how to be normal like his best friend, Max, or Raya, the girl he likes. Being normal becomes extremely difficult after Sara reaches out to him, a non-verbal girl with many disorders at his school who asks for his help. Her father has gone missing and Sara suspects murder, she just needs Daniel's help to prove it. As they both learn more about each other, it becomes harder and harder for Daniel to keep his secret, and he soon finds, he may not want to keep it anymore after all. Oh man, what a delight this book was. OCDaniel is the cute contemporary story of a boy named Daniel who struggles with OCD and tries to balance it between girls, football, family, writing, and a murder investigation. This story is so sweet and heartfelt while still looking at some big issues and emotions, which makes this book a powerful read. The characters are instantly people readers can fall in love with: Daniel is so sweet, Sara is spunky but with a huge heart, and all the other characters come across as very positive. Steve, Daniel's older brother, teases him a bit but is still shown to be a caring older brother. Even the supposed "villains" turn out to be good, misunderstood people, which leads to a wholesome feel throughout. Even the conflicts in the novel, though they are cloaked in dramatic scenarios, actually boils down to people learning to understand one another. The representation for mental health was so spot on in this book. 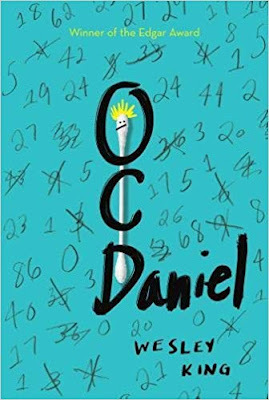 I don't have OCD so I can't speak to the accuracy of the representation, though the author King says the book is part autobiographical as he has OCD and went through a lot of the things Daniel goes through, so I assume it's a fairly accurate representation. Even the way that the emotions are explored and explained makes it really easy to understand and sympathize with Daniel's condition. 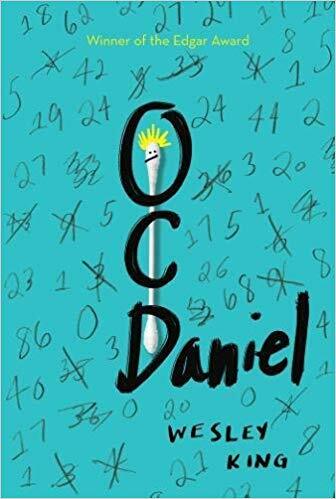 I really enjoyed how the book illustrated his confusion and fear around his compulsions, and though I don't have OCD I do struggle with other mental health issues and I really found myself relating to Daniel's struggle for secrecy, normalcy, and inclusion. It's something I think a lot of young readers can relate to, mental illnesses or not. The book also explores all these emotions without going into really dark areas. We get to see the full struggle that Daniel goes through with his Routine, and all the pain that he keeps inside, but the overall tone of the book is still hugely positive which makes for a pleasant read. Finally, the real hook, line, and sinker of this novel is just how purely pre-teen it is. Daniel is 13 and is just entering that age where people start developing crushes and get interested in relationships. It's not the kind of developed romance you'd see in YA, but a much more toned back game of "who likes who" that comes across as really sweet and innocent. 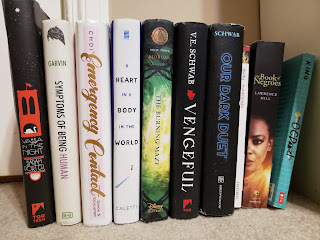 I feel like it would really appeal to MG readers who may be interested in reading more romance but aren't quite ready for the dramas and perils of high school romance in YA. As well, the development of the potential relationship is based more on friendship and commonality than falling for looks (though the difference is explored a bit, which was great), and there's no kiss or a start of a relationship at the end, just the potential for one and the acknowledgement of feelings for each other. All in all, this is just an adorable story with great mental health representation, lovable characters, and an emotional but positive message. A definite recommendation to young readers, especially pre-teens or those on the cusp of adolescence. TL;DR: 5/5/ stars. An adorable and heartfelt story of a boy learning to manage his OCD along with friends, girls, writing, and football. Goodreads Description: When everything has been taken from you, what else is there to do but run? My Review: I was given a copy of the book in exchange for an honest review. It's been almost a year since the crime that shook Annabelle Agnelli's life to the very core, yet she can't move on. The guilt and shame haunts her and time seems to be making things worse, not better, as it marches her towards the one year anniversary and a mysterious meeting in September. So one night in a fast food parking lot she snaps, and just starts running -- away from the past, away from the future, away from the things she did and didn't do. Joined by her grandfather in his RV, the two set out on a months-long marathon across the country, cheered on by her brother and friends, the unofficial campaign managers. But even with all the support in the world, Annabelle struggles to forgive herself for the part she played in the crime. If she hopes to make it to DC, or to the meeting in September, or to ever move on with her life, she has to push through and make sense of it all -- the run, the crime, the survivor's guilt, and the phantom image of The Taker that haunts her every day. Wow, this book is devastating. I am going to do my best to avoid anything relatively spoilery because the book relies heavily on the mystery of what happened to Annabelle as well as what will happen (with the upcoming September meeting) to drive the tension and keep readers engaged. I'm usually a little annoyed when books withhold information from the reader in an attempt to build tension, but it actually works fairly well in this book, mostly because the book isn't really about the crime itself, but all the emotions that came afterwards -- the survivor's guilt, the anxiety, PTSD symptoms, depression, and how to work through those emotions and continue going despite it all. So withholding the actual details of the crime wasn't frustrating, and definitely enough of a draw to keep me reading longer. Annabelle is also a reluctant protagonist in this story. She's not running with a big cause in mind, she didn't spend any time preparing or doing any marketing for fundraising -- she just runs because she's at the end of her rope and it's the only thing left she can do. She gets pushed into a position of activist by her brother and friends who use that angle in order to raise money for her travels, but she spends most of the book trying to wrap her head around her own feelings, let alone format a message to send out. The raw emotions in this book are what make it so powerful and this book just nails them every single time: Annabelle feeling responsible for other people's feelings, that anxious need to be the perfect everything to everyone, crushing down gut instincts because of guilt, let alone any of the mental health issues that come out after the crime. The way emotions and mental health were handled in this book was incredibly accurate and powerful and made me want to give a copy to every little girl. I loved how it addressed gut feelings girls may have about men, how they may ignore them because we're taught not to jump to conclusions, and how to trust in yourself. The book took a feminist approach to domestic violence and was organized into a powerful story that shows girls how -- and why-- it matters to trust in yourself. Though I'm not interested in running (I'm committed to the couch), it wasn't hard to get into the book or understand Annabelle's need to run. Much of the book involves just Annabelle and the road, but the focus is on her trauma and how she learns to reconcile all the pain and loss, and the running definitely takes a back seat to that. Annabelle at times uses the running to hurt herself as a way to atone, and so even when we see the injuries from her run or how she prepares herself, the focus is still on the struggle in her head. I was really interested in how the book handled "The Taker," who is a relatively nameless character who committed the crime and now haunts Annabelle wherever she goes. At first I wasn't sure how I liked the way The Taker was shown, as he is shown to be more of a faceless, nameless monster than a real person who committed a crime. Annabelle demonizes him in her head (rightfully so) to the point that the character is more of a monster than a human. Though this is very accurate to how many trauma victims react to their abuser, I wondered if it took away from the story by furthering that cognitive dissonance in many of us that violent criminals are somehow not human, or at least different from us, as opposed to just another person. The Taker is named at the end of the book, which I feel is super important for giving him a human face. Since the book was about Annabelle's emotions, not the crime or The Taker, I realized it was probably more effective to have him as a faceless monster, as that is more true to how a trauma victim would react. The writing style was really interesting in this book. It's third person, present tense, with a style that's similar to 3rd person limited perspective as we stay in Annabelle's head throughout, but the author doesn't take us fully inside Annabelle's thoughts and feelings as specifics of the crime are being withheld to create tension, so the point of view is somewhere between limited and a close omniscient. The way the story is written has a huge effect on the reader, as we get incredibly close to Annabelle yet there is still this distance between us and her that gives us the mystery - this is particularly evident after Annabelle witnesses a deer being hit by a car and we see the effect it has on her, without really knowing the exact thoughts circling in her head. The only thing that held me back from 5 starring this book was the unlikely cheesiness that came out at times. Annabelle gets a lot of support throughout the book, which is hugely important for someone dealing with PTSD, but the unanimous support was just a little too much, especially at the climax, pushing it from feeling unlikely to a little fake. That cheesiness also took me out of the story a bit, which was a shame since the rest of the book was so spot on. It's hard to judge a book for being "too positive" but it just seems too perfect to be true, which might say more about my life and experiences than the realism of the scene, but I don't think I'm the only reader who felt a little iffy on the happily ever after moments. TL;DR: 4/5 stars. An emotional journey about a girl learning to find her voice and her strength after a violent tragedy. Goodreads Description: The formerly glorious god Apollo, cast down to earth in punishment by Zeus, is now an awkward mortal teenager named Lester Papadopoulos. In order to regain his place on Mount Olympus, Lester must restore five Oracles that have gone dark. But he has to achieve this impossible task without having any godly powers and while being duty-bound to a confounding young daughter of Demeter named Meg. Thanks a lot, Dad. My Review: I received a review copy from the publisher in exchange for an honest review. If there was ever a perfect example of someone who takes what they know and masters it, that person would be Rick Riordan. He blends the mythical and modern together with expert skill, and wraps it in his distinct humour which I'm sure can get anyone laughing. 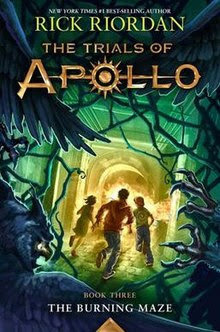 The Burning Maze is the third book in Riordan's newest series, The Trials of Apollo. The god of the sun is sent to earth as punishment by his father, Zeus, and is bound to a demigod daughter of Demeter named Meg. In their quest to defeat a group of Roman emperors who hope to destroy Camp Jupiter, they must enter the Labyrinth, which has been infected with the fires of Helios, the previous sun god, and is causing the out of control fires and droughts across California. As temperatures raise alongside tensions, Apollo must choose wisely to avoid a deadly dead end at the hands of Caligula, a Roman emperor determined to become the new sun god by sucking out whatever godly powers Apollo has left. This is the first Riordan book I've read in a while, and my first contact with the Trials of Apollo series. I went into the book knowing pretty much nothing about this new series other than what the back cover told me, so I wanted to see if the book could hold up on its own outside of the series. Not only is it an important piece of a larger story, as all Riordan's books are, but it is a masterful tale that manages to stand on its own. The book is excellent in relaying necessary information in a fun way that doesn't bog down the reader. It also doesn't try to explain everything, only the things necessary to the immediate story. So while I didn't come out of The Burning Maze knowing everything that is going on in the series, it was just enough that I knew what was currently going on and didn't feel lost or like I was missing something. The emotional impact of this book was incredible. So many of the characters have these quiet, emotional moments that bring them to life in such a heart-wrenching way, such as Meg visiting the destroyed ruins of her childhood home, Jason wrecking himself trying to keep his promise to the gods, Apollo 's emotional reaction to Hyacinth, etc. And that doesn't even touch on the bigger emotional losses through the story. It seemed like every scene was just dripping with emotion- the characters discussed how they were feeling, motivations for their actions were heavily based in emotion, etc. It made everything feel so much more personal and real, like these were real kids and not godly heroes that soared through their lives without uncertainly or repercussions. Even the fighting seemed more realistic in this book than in previous Riordan books, as there was more focus on recovering afterwards, getting medical care for burns or bruises, and showing characters reacting to their injuries in a more realistic way. It seemed like Riordan was trying to put more humanity into his godly characters, from being more aware of their physical, emotional, and mental limitations, to showing the emotions connected to their motivations, to showing how they care for and support one another. I absolutely adored how the book approached climate change and the environmental damages going on in our world today. The Burning Maze is supposedly responsible for the devastating fires and droughts taking place in California, and the book makes us really feel the pain and loss of our natural environment through the dryad characters, who were all plant-spirits who had been displaced and traumatized by the fires. Not only did this add to the emotional piece, but it allowed the readers to connect the sense of loss to current events. It's hard not to feel motivated to do something about the real-world devastation when we see our favourite demigod characters taking action against that same danger, albeit with a supernatural spin on things. The plot was exciting and engaging, the humour was so on point that I kept stopping to laugh, and Riordan's brand on mythology was as fun as ever. What really won me over was that Apollo is bisexual and shown to have feelings for both men and women, which holds true to the original Apollo mythos. It was so wonderful to see a bisexual main character portrayed as completely natural and accepted, especially in a middle grade novel. It is always so nice to see bisexual representation. It's hard for me to write reviews on books like this where I have nothing to criticize, but it's pretty hard to find something to criticize about Riordan's books after he's spent years literally perfecting his formula. Though books in his Percy Jackson universe all follow a predictable pattern, Riordan manages to make every installment wholly its own and just as much fun as the others. The Burning Maze is no exception. TL;DR: 5/5 stars. An emotional and endearing installment to the Percy Jackson universe. Goodreads Description: Based on a true story, "The Book of Negroes" tells the story of Aminata, a young girl abducted from her village in Mali aged 11 in 1755, and who, after a deathly journey on a slave ship where she witnesses the brutal repression of a slave revolt, is sold to a plantation owner in South Carolina, who rapes her. She is brought to New York, where she escapes her owner, and finds herself helping the British by recording all the freed slaves on the British side in the Revolutionary War in The Book of Negroes (a real historical document that can be found today at the National Archives at Kew). Aminata is sent to Nova Scotia to start a new life, but finds more hostility, oppression and tragedy. Separated from her one true love, and suffering the unimaginable loss of both her children who are taken away from her, she eventually joins a group of freed slaves on a harrowing odyssey back to Africa, and ends up in London as a living icon for Wilberforce and the other Abolitionists. 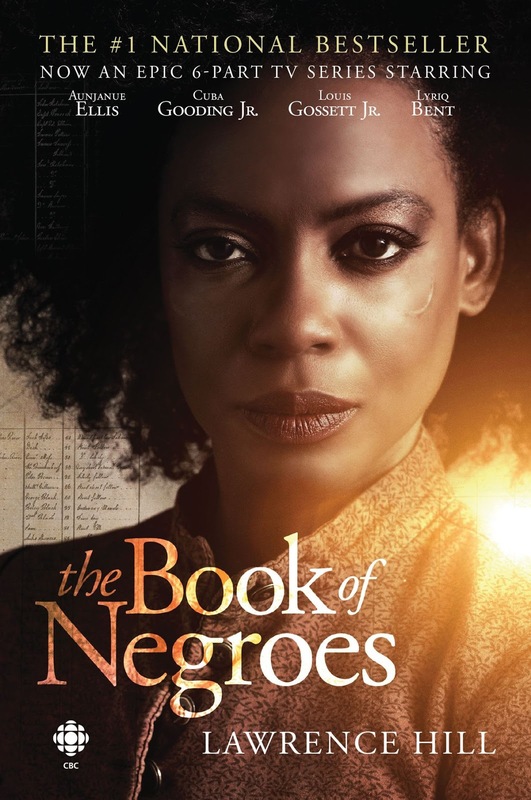 "The Book of Negroes" is a page-turning narrative that manages to use Aminata's heart-rending personal story to bring to life a harrowing chapter in our history. My Review: The Book of Negroes is an incredibly odyssey story featuring Aminata Diallo, who at 11-years-old is abducted from her village and trafficked into slavery. She is taken onto a slave ship that heads out to South Carolina where Aminata is sold into slavery to an indigo plantation owner. The novel follows Aminata's life as she gains more and more freedoms and eventually makes her way back to Africa. The book tackles ideas of colonialism, imperialism, assimilation, racism, (of course) slavery, all the little shades of grey that fall between those concepts, and most importantly, how real people tried to live their lives within the framework of systematic oppression. Something many writers might pick up on while reading this book was how the author utilized the concept of 'show don't tell.' The narrator, Aminata, tells us a lot about the story and characters point blank, and though at first glance it would seem like Hill is breaking a pretty big writing rule, it's a necessary evil. The Book of Negroes is incredibly long and detailed, and in order to get the story out, some parts are simply told to us without any attempt to show we might "see" it play out. We can see this a lot in dialogue scenes where the writing would go from using dialogue and tags to just telling the reader what was said. Alternatively, there is a lot that is shown to us, usually the things related to the bigger themes rather than the plot. Hill shows us how white people sometimes rationalize racist behaviour through characters like Soloman Lindo, who asserts that he's different from slave owners, and calls Aminata his servant instead of slave, yet still participates in the systems of oppression and has no problem using them to his benefit. Hill shows us the realities of racism by showing why other slaves refused to run away for their own safety, and how those that did often didn't find a good life. He shows us arguments against abolishment by using what the audience would consider "good" characters to express the anti-abolishment concerns, and shows us how slavers at the time hid the truth of the inhumane conditions in order to keep the trade alive. All of this adds up to a pretty balanced use of both "show" and "tell," and the book is a great example for when to use each angle. On a personal level, I found the way Hill used his "telling" to be a little intrusive at times and took me out of the story, but I recognize it as a necessary evil to tell such a long story. 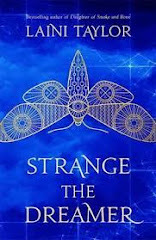 The novel tackles some very difficult ideas and subjects, and does it with an incredible amount of tact and fairness that makes the book feel very authentic. The book is obviously anti-slavery and anti-racism, but Hill approached these subjects with a very balanced portrayal. Instead of pushing any sort of agenda, the book presented the history as thoroughly as possible and let the truth speak for itself. As well, the horror was nicely balanced so the book was not unbearable to read. Hill addressed the violence and horror appropriately and did not shy away from the awful truths, but also didn't linger over them or fetishize the violence. The book gets progressively easier to read content-wise the more freedom that Aminata gains. As for the characters, they were all incredible. Aminata is truly a courageous and resilient main character. Chekura really stole my heart; at the beginning I was rolling my eyes at the idea of him and Aminata getting together, but a few hundred pages later and I couldn't imagine them without each other. Even all the other characters that came in and out of the story were very consistent and had very clear personalities and motivations. Overall, the book was an incredible piece of historical fiction. I can't say I was completely blown away by the characters or plot, and if not for my college class I don't think I ever would have picked it up (mostly due to the violence), but I really valued it for the accurate and detailed portrayal of life for slaves and free blacks. I really appreciate that it took the time to look at slavery from every angle and even actively dispute common racist myths. The Book of Negroes is an important read for people hoping to learn more about the history of slavery in North America and understand how the framework of that systematic oppression still exists in our society today. TL;DR: 5/5 stars. The Book of Negroes is an important piece of historical fiction that paints a thorough picture of life for people of colour trapped in the slave trade. Goodreads Description: The sequel to VICIOUS, V.E. Schwab's first adult novel. Sydney once had Serena—beloved sister, betrayed enemy, powerful ally. But now she is alone, except for her thrice-dead dog, Dol, and then there's Victor, who thinks Sydney doesn't know about his most recent act of vengeance. My Review: This review will have major spoilers. There are no warnings beforehand as they are spaced through the whole review. So beware if you find spoilers spoiling. 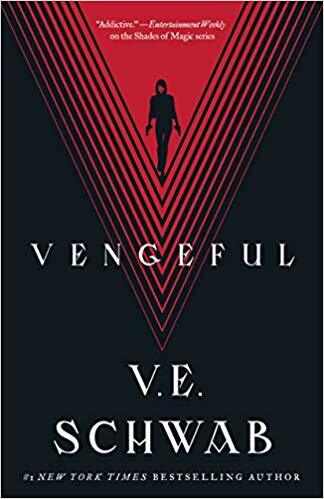 Vengeful picks up after the events of Vicious, but the story is told through multiple points of view across many points in time, so it's difficult to remember where in the book each part of the narrative gets revealed. Five years have passed since the end of Vicious, where Victor and Eli faced off and which left Victor dead and Eli in prison. After being resurrected by Sydney, Victor discovers her powers are a double edged sword, because he's been brought back wrong. His powers are different, and he keeps having fits that cause a surge of electricity to shoot through his body and kill him-- over and over and over. Desperate to find someone to fix what's broken in him, Victor begins hunting EOs, and in an effort to hide himself, Sydney, Mitch, and Dom from Stell, the detective who put Eli behind bars, Victor has to kill those he meets to cover their tracks. But it all turns out to be in vain, for Marcella Riggins, a new EO in Merit, is taking over the city, amassing EOs to work for her and dragging Victor, Stell, and even Eli into her sphere of influence, causing the three men to come crashing into each other once again. Okay. Okay. Okay, okay, okay. This is going to be hard for all of us, but it's important to be honest in order to get through this. I really, really didn't like this book. It's probably one of the first books Victoria Schwab has written that I actually didn't like. Not to say there wasn't anything to like about this book, in fact, there was a lot to love. But what sends the rating crashing down for me is that this book, this STORY, had so much potential that just wasn't lived up to. So now whenever I look at this book, all I can think about is what it COULD HAVE been, which makes the loss feel a little more profound. This was also the first book that I've ever pre-ordered. I'm pretty against pre-orders, just for the selfish reason that I like going into the store on release day and snatching up a copy, but I did it this time because I really loved the book, so it just added to that disappointed feeling. I think a major issue with this book is the dramatic shift it takes from the first book. Vicious was about Victor and Eli. 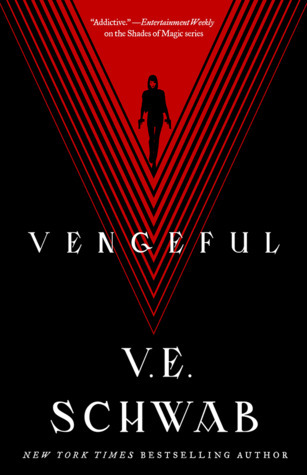 Vengeful is about Marcella. While not a bad thing for a dramatic shift in focus, it was really off-putting because a lot of the bones of the story were still about Victor and Eli-- Victor trying to find a 'cure' to repeatedly dying, Eli being in prison and reevaluating his childhood and ideologies, and ultimately Eli's escape from prison, but all this took a backseat to introducing Marcella and her motivations. This was annoying because readers who were clamoring for this book were looking for Eli and Victor, as that's the story they were hooked on. Instead we're introduced to Marcella, who has the potential to be a really incredible character, but she falls horribly flat because she doesn't have the nuance that Victor and Eli had in the first book. What made them so interesting were the shades of grey in their characters, and Marcella had none of that. She was all ambition and vengeance with nowhere to go. After being wronged by her husband, she attempts to "ruin" him, which she succeeds early on in a very anti-climactic scene, and then decides to take over the mob and "ruin" them. Her desire for vengeance against her husband was clear and concise, and then after that the motivation kinda fell apart. She wanted to take over the mob, and do what with it? Did she want to rule the city? Destroy it? To what end? Some of her desires are outlined but it was kind of muddy, and all we really hear of Marcella's "grand plan" is that she's throwing a party, which does nothing but end in her death, making me wonder what the point of all of it was. Marcella was intended to be a powerful, intimidating, ambitious woman, and she came across as an empty-headed super villain with no depth. The story readers came for took a backseat to introducing us to this female villain, who didn't compare to the moral complexity of the male characters from the first book. And trust me, I wanted Marcella to live up to the characterization in the first book, but it just didn't happen. That lack of moral complexity wasn't just apparent in Marcella, though. Victor was significantly less 'grey' than in the first book. Vicious painted Victor as an anti-hero, and both he and Eli were well-balanced with good and evil parts to them. 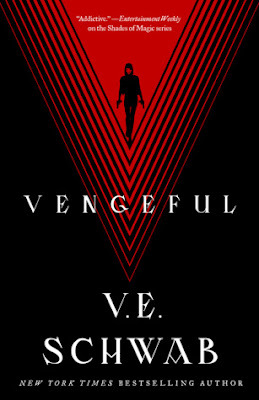 Though the same framework for those dilemmas exists in this book-- the whole aspect of Victor killing EOs to cover their tracks could have be a great moral grey area to explore further-- but instead it's glossed over and so Vengeful just doesn't have the same interesting moral complexities that made Vicious so interesting. Unfortunately, there was a serious lack of character and development in this book. We're introduced to a host of new characters like June and Jonathan, but there's not enough there to show us who they actually are. 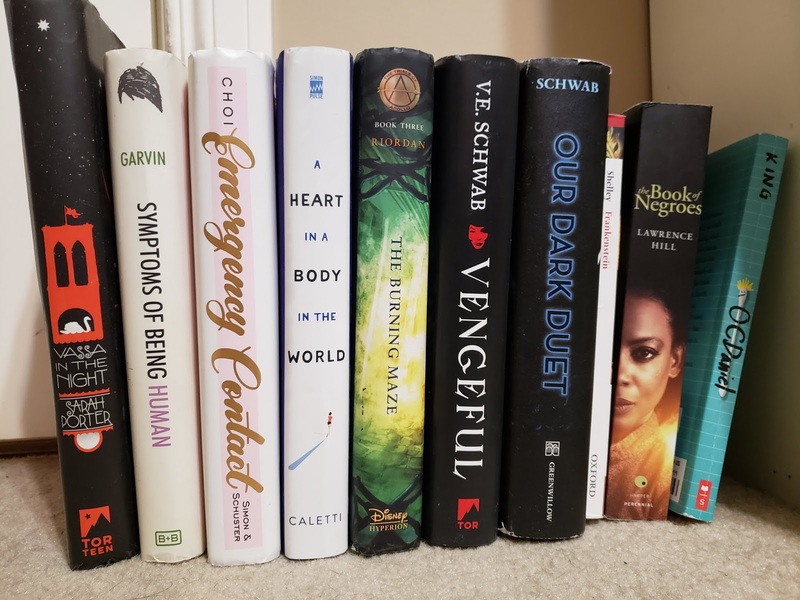 Jonathan, Marcella's "shield," is such a pathetic cardboard cutout of a character that it makes me a bit embarrassed for Schwab, but it is definitely a symptom of having too many characters and not enough time to explore them. June and Jonathan are also characters created with a purpose-- Jonathan is the shield that keeps Marcella from being shot and June is the connector between Sydney (and Victor's group) and Marcella. This wouldn't be so bad if it wasn't so apparent. June is also really infuriating, because other than having a cool and trendy power, we know absolutely nothing about her-- not where she came from or how, not who she was before, no real hint as to what she actually wants, aside from being creepily obsessed with Sydney (though still not sure why). Her motivation is just all over the place. She's helping Marcella, but doesn't like her, then wants to be on her side because she's powerful, then tries to betray Marcella (seems like because of Sydney), then betrays Sydney anyway. It's a complete mess. I have no idea what June actually wanted out of any of this, and I suppose that's the point, because it's clear from the epilogue that there will be a third book in the series with June as a major character (why else include a scene where she wipes herself from EON's database if not to use it somehow?) which is even more infuriating. It feels like her backstory was withheld so she can be a central character in the next book at the expense of her characterization (and the reader understanding her and her motivation) in this book. 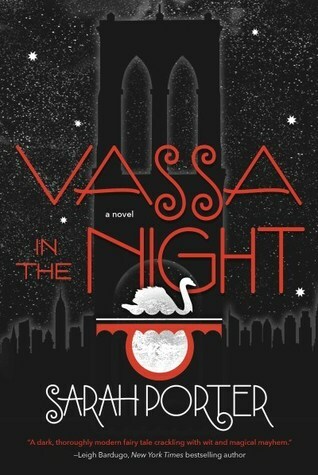 The book read like I was reading two separate stories smashed together-- Marcella's and then Victor and Eli's. And unfortunately the story that I signed up for was crammed into the last 50 pages of the book, hidden after Marcella's death. The parts with Eli and Victor were great (if a little less morally subjective) but there just wasn't enough of them. There were too many threads in this book and the ones that should have mattered the most got dropped. I probably would have loved this book a lot more if Victor and Eli's story was better integrated into Marcella's, instead I get a handful of pages with Victor that I'm pouring over trying to imagine the rest of the book with him actually in it. I really enjoyed the writing, as always. Schwab has a command of language that really shows through her use of vocabulary. However, the book had a lot of tension with not a lot of payoff. There were so many scenes that were setting up atmosphere, tension, and building up to a climax, and yet when we got there, the climax did not live up to all the build up that came before. Sydney is a perfect example of this, as she spends the whole book obsessing over her sister's ashes, building an exorbitant amount of tension as we see her master her resurrection skills, and then she decides not to bring her sister back in a rather anti-climactic resolution. I can appreciate the choice that Sydney made, but because Schwab spent scene after scene building her power, and the tension with it, it felt painfully underwhelming. The same could be said for many other parts of the book, such as Marcella's "big plan" which turns out to be a party. She claims this party will change the city, and yet all we can see that she planned was to bring a few reporters and maybe show off her powers. Because of the lack of a satisfying climax, Marcella came off as weak and more concerned with how she appeared to be powerful than actually being powerful. Which, yawn. I was excited by Marcella because I love powerful, dark, ambitious women. But Marcella wasn't powerful, she was just a sparkler-- pretty to look at, looks like it could burn or hurt you, but really it just fizzles itself out on its own. If you want to create a real Marcella, don't just give her ambition, because ambition without direction is meaningless. Give her goals, give her plans, give her ends to her means and give her a damn good reason for pursuing them. Make it clear that nothing will stand in her way. Don't just have her sip champagne and then melt a glass when she gets angry. Give me a woman who changes things. Give me a woman who knows what she wants and gets it. Give me actual power, not just the illusion of it. TL;DR: 3/5 stars. Disappointingly doesn't live up to its potential.